Toronto's transit system will receive 39 kilometres of new subway and light rail track in a $12-billion expansion package announced by the province and city on Thursday. The details of a multi-billion dollar transit expansion were outlined by Ontario Premier Dalton McGuinty and Mayor Rob Ford on Thursday, with both men stressing the importance of getting construction underway as soon as possible. McGuinty said the province would invest $8.4 billion to build an underground light rapid transit line along Eglinton Avenue, spanning 25 kilometres from Black Creek Drive to Kennedy station. The line will also replace the Scarborough Rapid Transit line, running aboveground from Kennedy Station to Scarborough Town Centre. "This is the biggest ever investment in Ontario on public transit. This transit line will be the spine of the Toronto and the regional systems," McGuinty told reporters on Thursday. He added the provincial investment will cover the cost of 130 new LRT transit cars, which will be built in Thunder Bay, Ont. Meantime, the city will move ahead with an extension to the Sheppard subway line at a cost of approximately $4 billion. The subway extension will run 14 kilometres from Downsview subway station to the Scarborough Town Centre. Ford was not prepared to outline how the city will pay for the expansion on Thursday, but said the majority of the cost will come from the private sector, stressing that the city would own the line after construction was complete. He added that the city will ask the federal government to use a previous $330 million commitment to fund the Sheppard project, and that the province may provide more money to cover part of the cost. McGuinty said if the province comes in under the $8.4 billion budget on its project, the savings would be dedicated to the Sheppard line. Ford has received some criticism for excluding the Finch Avenue West neighbourhood from his transit plan. The low-income neighbourhood had been promised a rapid transit line under former-mayor David Miller's Transit City plan. Ford promised on Thursday that the neighbourhood would have a subway line within ten years. "We will make major improvements to the bus service along Finch Avenue West until we can introduce rapid transit there as well," he said. Construction of the Eglinton rapid transit line and the Sheppard subway extension should be complete by 2019. Toronto is currently on the hook for at least $49 million for cancelling the Transit City light rail plan, says the head the regional transportation agency tasked with implementing Toronto Mayor Rob Ford's new transit plan. "$49 million is what would be known at this point in time and then there would be additions based on how the discussions go with some of the suppliers," he told reporters Thursday. Part of that figure includes the $8 to 9 million committed to planning the now cancelled Finch Avenue West light rail line, he said. His comments come after Ford and Ontario Premier Dalton McGuinty announced a new transit plan to replace the Transit City project, which called for the installation of light rail lines all over the city. The city will now have to alter a $777-million contract with Bombardier. The city had originally ordered 185 LRT vehicles, and they now only need 130, according to Metrolinx. But Bombardier may be interested in providing the city subway cars for Ford's proposed Sheppard subway extension, said McQuaig. That could just be added to the existing order for light rail vehicles. "It's going to be a pretty complicated conversation," he said. "I just can't predict how much there might be of additional cost from the change in the light rail vehicle order at this point." TTC Chair Karen Stintz was also unable to say exactly how much the city would have to pay for changing existing contracts. So far, the city has committed $1.38 billion to Transit City-related contracts that may need to be altered or broken. Ford's plan would put Transit City's Eglinton light rail line entirely underground. There would also be a Scarborough LRT line that would replace the current RT line. Those initiatives will come at a cost of $8.2 billion, which will come from the province. At Ford's request, the province agreed to cancel the Sheppard Avenue light rail line in favour of a subway line, which the city will try to fund through public-private partnership and some funding from senior governments. Ford offered few details of a possible public-private partnership. "All the details will have to come out, but it will be built with private money," he told reporters Thursday, without elaborating. McQuaig said it was "hard" for him to comment on the feasibility of the construction of the Sheppard line this early. "The first step that needs to happen is that city needs to finalize its financial plan and their business case. 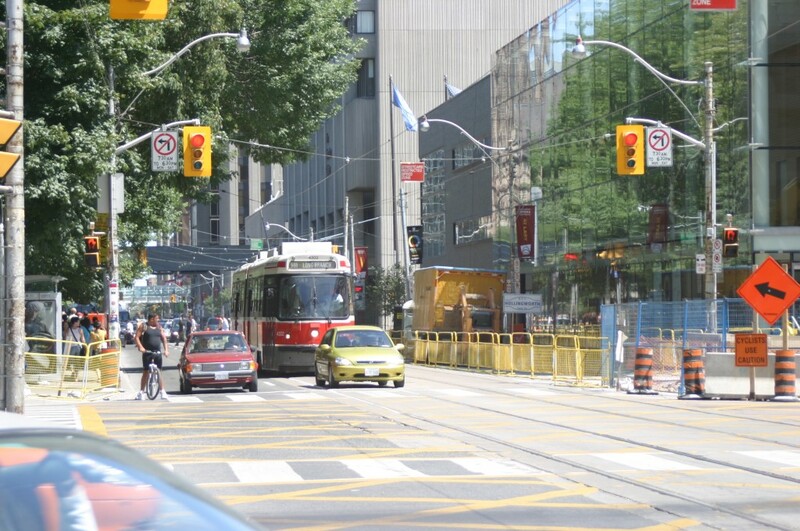 Because fundamentally they need a decision by the TTC commission and city council to go ahead," he said. When asked if he thought there was a business case for the subway extension given the current ridership on the Sheppard subway line, McQuaig said "the mayor has a vision of the kind of land use and development on the corridor that would build the ridership over time as well." And the chances are that the subway may never be built! It will take up to five years to plan for the subway and a provincial and civic election later and a cool US economy, may mean a slow economy in Ontario. When the subway is ready to be built there maybe no funds or appetite to build. There are many instances of subways planned, funded but not built or completed due to changing circumstances. Sounds like, Vancouver and TransLink, the subway is being used to increase densities along its route, thus giving windfall profits to land developers and speculators. I wonder how many of Ford’s supporters bought land adjacent to the new subway? I think a check in the Land Title Registry is in order. Toronto already has an over-supply of condos, I do not see how Ford is going to convince developers to build the sort of density required to justify this white elephant. Zweisystem agrees with you. Sadly, Ford may have been a flavour of the month that lasted four years.